Peter Thibodeau is a Soquel chiropractor who serves Soquel and the surrounding communities in CA . 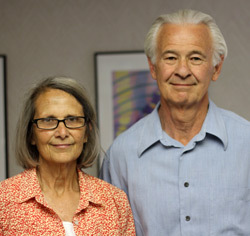 Chiropractor in Soquel, Dr. Peter Thibodeau is a 1965 graduate of the Logan College of Chiropractic. He also graduated from the University of California, Santa Cruz with his degree in Biology and Earth Science. He is a Diplomate in Chiropractic Neurology (300 hour Post Doctoral degree 1992, Los Angeles Chiropractic College) and is certified in the science of wellness by the International Chiropractors Association. He is a strong advocate of a structured exercise routine, diet (lots of fiber) and thinking well (stress control). Dr. Thibodeau teaches license renewal classes for the International Chiropractors Association California, and has received many honors for his work in educating his fellow doctors for license renewal purposes. Dr. Thibodeau began practice in 1969 after completing his military duty as a First Lieutenant in the United States Army. He has dedicated his life to healing the body, spirit and mind and believes that chiropractic care is the most sensible and effective way to restore health. He also believes in the preventative power of chiropractic care. "There is no one who enjoys going to work more than I do. It is the greatest pleasure to greet our patients and care for them here in our Soquel Chiropractic office," proclaims Dr. Thibodeau. As a chiropractor in Soquel, Dr. Thibodeau is proud to care for infants, adolescents, young and older adults. His practice concerns the whole family. 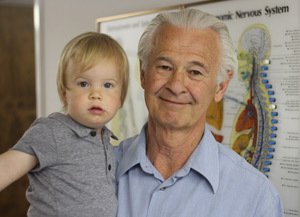 Dr. Thibodeau is a third generation chiropractic doctor. His mother, father and grandfather were DC's. He also has other family members who currently practice chiropractic. "As a kid our mother and father would take us to Palmer, Davenport for the Lyceum. I sat on the lap of Bartlett Joshua “B.J.” Palmer as he told me not to touch all the knives and spears hanging on the wall. He said they may still have poison on them. I still remember B.J. giving his lectures to thousands of DC's." Dr. Thibodeau is a proud member of the International Chiropractors Association and the International Chiropractics Association, California. He enjoys public speaking, weight lifting, running and participating in many sports. He is also very active in community services such as the Salvation Army where he currently serves on their advisory board, and belongs to Toastmasters, currently servings as the Sergeant at Arms for the club. My wife Judy, previously an RN, works here in the office and is the manager of everything, even me. She is an exorbitantly energetic woman! We also established a bonded and licensed winery, we farm our own Pinot Noir grapes and make the wine. I love driving tractors and farm machinery. Remember if you are driving a manure spreader, don't back it up! We have 3 daughters and 1 son. My oldest daughter is an engineer with a masters degree and works for GOOGLE, she will be married this coming October. Another daughter is also an engineer with her masters and works for NVIDIA, she is currently working in Berlin with her husband and son, our first grandchild. My son is also an engineer, and our youngest daughter has studied art and is really quite good. Back in the 50's when I was in high school, none of the females were prompted to study the sciences, and certainly not engineering, so I gave all of our kids the opportunity to study lots of math, physics and chemistry. Most mornings I get up at 4 am to read the scientific literature relative to the science of lifestyles. Much of my studies include environmental issues. We have a solar home producing electricity via photovoltaics and hot water via solar water panels. We have 80 photovoltaic panels and 19 hot water panels with a very sophisticated automated control system. At almost 70 years old, my shape and health are excellent and I have never made a medical insurance claim in my life. I do at least 9 hours of vigorous exercise per week including fairly heavy weight lifting, right and left unassisted one arm pull-up and then pull-ups with 90#'s, i.e. two 45 lb plates hanging off my waist, 20 rapid dead lifts with 225 lbs and then a few with 315 lbs or higher - it all depends on who is watching. I run the 86 stairs at Capitola 20 times as fast as I can go. I always get at least one chiropractic adjustment per week and we eat a Paleo Diet. My family does not and never has had a medicine cabinet, we use no drugs. My mother a Doctor of Chiropractic (now deceased) used to say to us 6 kids, your fever is healthy. It is so good you have a fever, and this was back in the 40's and 50's when fevers were looked at as something terrible. Call our Soquel chiropractic office today to schedule an appointment with Dr. Peter Thibodeau. The road to wellness begins here. If you have any questions about our Soquel chiropractor, or would like to learn more about chiropractic care at Thibodeau Chiropractic, please call us at 831-462-2727 today!